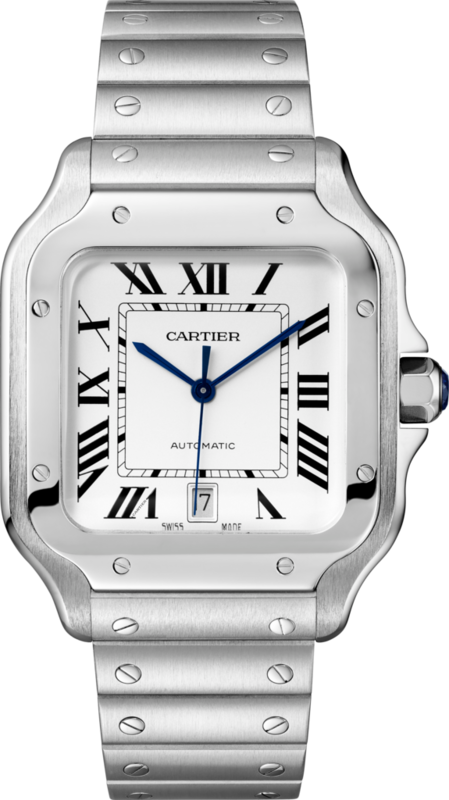 Ecrou de Cartier bracelet, 18K white gold. Santos watch, large model, mechanical movement with automatic winding, 1847 MC. Case in steel, seven-sided crown set with a faceted synthetic spinel, silvered opaline dial, blued-steel sword-shaped hands, sapphire crystal. 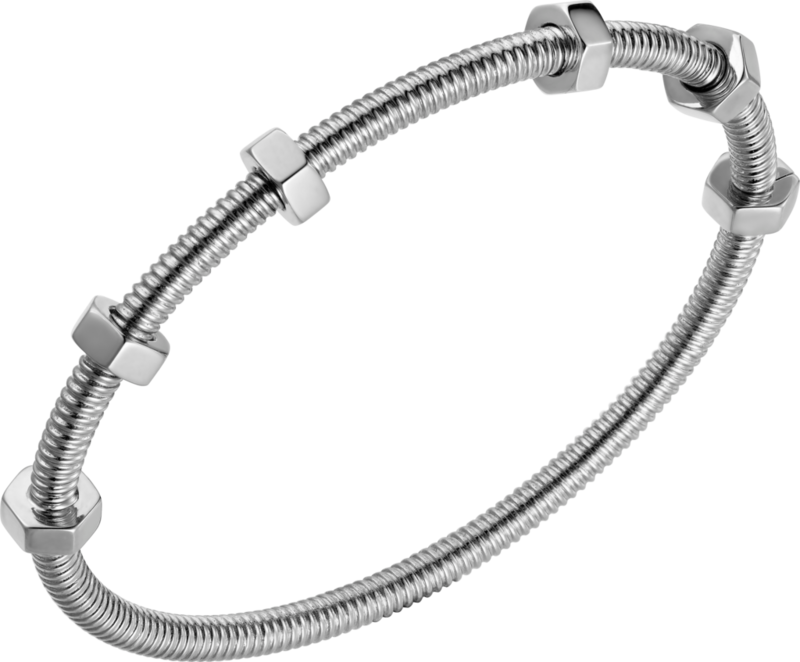 Steel bracelet with “SmartLink” resizing system. Second bracelet in calfskin, with steel double adjustable folding buckle. The two bracelets are equipped with the “QuickSwitch” interchangeability system. Case width: 39.8 mm, thickness: 9.08 mm. Water-resistant to 10 bar (approx. 100 metres). Belt with golden-finish ardillon buckle, Cartier signature. Reversible black and brown cowhide strap, embossed Cartier marking. Dimensions: 30 mm wide x 1230 mm long. Adjustable. Must de Cartier briefcase with three gussets in black calfskin. Palladium-finish metal parts. Interior: burgundy fabric lining, one quilted laptop compartment, one tablet pocket, one gusseted zipped pocket, two smartphone pockets, two pen loops and one tab to hang keys. Dimensions: 400 mm high x 300 mm wide x 130 mm deep. Hand carry.